Today asylums have largely been consigned to history but mental illness is more prevalent than ever, whilst our culture teems with therapeutic possibilities: from prescription medications and clinical treatment to complementary medicines, online support, and spiritual and creative practices. 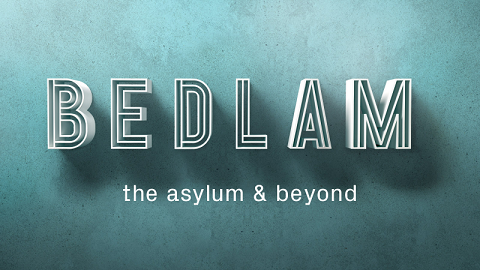 Against this background, a landmark exhibition from the Wellcome Collection ran in London (until 15th January 2017), interrogated the original ideal that the asylum represented – a place of refuge, sanctuary and care – and asked whether and how it could be reclaimed. Taking the Bethlem Royal Hospital as a starting point, the exhibition juxtaposed historical material and medical records with individual testimonies and works by artists such as David Beales, Richard Dadd, Dora García, Eva Kotátková, Madlove: A Designer Asylum, Shana Moulton, Erica Scourti, Javier Téllez and Adolf Wölfli, whose works reflect or reimagine the institution, as both a physical and a virtual space. You can listen here to an audio companion (Our Voices) to the exhibition. You can see the exhibition’s text and captions here and its gallery guide and map here. And you can get more overall information from here.